ANN ARBOR, Mich. — The Bentley Historical Library at the University of Michigan is an unassuming place, more like a small-town library than a research institute. But hidden away in 17 cardboard boxes deep inside the simple facility are the papers of John Tanton, the retired Michigan ophthalmologist who has been the most important figure in the modern American anti-immigration movement for three decades. The papers, which include more than 20 years of letters from the founder of the Federation for American Immigration Reform (FAIR) and a batch of other nativist groups, contain explosive material about Tanton’s beliefs. They also show that FAIR, where Tanton still serves as a member of the board, has been well aware of Tanton’s views and activities for years. Fair enough. But what do Tanton’s letters have to say? As it turns out, quite a lot. Although Tanton has been linked to racist ideas in the past — fretting about the “educability” of Latinos, warning of whites being out-bred by others, and publishing a number of white nationalist authors — the papers in the Bentley Library show that Tanton has for decades been at the heart of the white nationalist scene. He has corresponded with Holocaust deniers, former Klan lawyers and the leading white nationalist thinkers of the era. He introduced key FAIR leaders to the president of the Pioneer Fund, a white supremacist group set up to encourage “race betterment,” at a 1997 meeting at a private club. He wrote a major funder to encourage her to read the work of a radical anti-Semitic professor — to “give you a new understanding of the Jewish outlook on life” — and suggested that the entire FAIR board discuss the professor’s theories on the Jews. He practically worshipped a principal architect of the Immigration Act of 1924 (instituting a national origin quota system and barring Asian immigration), a rabid anti-Semite whose pro-Nazi American Coalition of Patriotic Societies was indicted for sedition in 1942. In a Nov. 13, 1994, letter to white nationalist columnist Lawrence Auster, a regular correspondent, Tanton suggested that the Declaration of Independence was actually a document based on the “bond of blood and ethnicity — nationhood.” Almost a year earlier, in a Dec. 10, 1993, letter to Garrett Hardin, a controversial ecology professor, he said: “I’ve come to the point of view that for European-American society and culture to persist requires a European-American majority, and a clear one at that.” On Jan. 26, 1996, he wrote Roy Beck, head of the immigration restrictionist group NumbersUSA (and then an employee of Tanton’s foundation U.S. Inc.), questioning whether Latinos were capable of governing California. This kind of thinking led Tanton to defend racial quotas imposed on immigrants. In a Nov. 3, 1995, memo to FAIR boss Dan Stein and the entire FAIR board of advisers, Tanton defended the infamous “White Australia” policy that restricted non-white immigration into that country from 1901 to 1973, saying it was not racist, but intended to protect native-born labor (the 1975 Racial Discrimination Act outlawed racial quotas in Australia). Tanton also mocked the idea that the 1882 Chinese Exclusion Act, banning Chinese immigration to the U.S., was racist. Similarly, Tanton has defended America’s Immigration Act of 1924, which formalized a racial quota system that was only dismantled in 1965. In fact, as shown in his correspondence, Tanton has long lionized a principal architect of the act, John B. Trevor Sr. (In addition to founding the American Coalition of Patriotic Societies, Trevor was an adviser to the extreme-right, anti-Catholic Christian Crusade of Billy James Hargis, who regularly referred to the Constitution and the Declaration of Independence as Communist documents.) Tanton arranged for the Bentley Library to house the papers of both Trevor and his son, long a Pioneer Fund board member and a close friend of Tanton’s until his 2006 death. What may have been most remarkable of all was Tanton’s endorsement of a proposal from another friend — Peter Brimelow, who would later start a racist anti-immigration website — that FAIR hire Sam Francis to edit its newsletter. That proposal, which Tanton sent to FAIR’s Dan Stein on Nov. 3, 1995, was made two months after The Washingon Times fired Francis for racism. • In a Dec. 23, 1996, letter, Tanton complained that it was hard to write checks for Theodore O’Keefe, who was involved for years in the Holocaust-denying Institute for Historical Review, because O’Keefe would only use a pen name. It was not clear from the letter what O’Keefe had written for Tanton. • On June 17, 1998, Tanton wrote to Stan Hess, who was then a member of the CCC, about Hess’ proposal to open a FAIR office in California (the letter was copied to Stein). The letter recounted how Tanton had “presented” Hess’ idea to the FAIR board. Hess was arrested later that year for burning a Mexican flag at an Alabama CCC rally that was attended by an unrobed Klansman. Hess would go on in 1999 to help form the neofascist American Friends of the British National Party and, later, to become California state leader of a group headed by neo-Nazi and former Klan leader David Duke. Earlier that month, on Dec. 10, 1998, Tanton also sent MacDonald’s work to Cordelia Scaife May, a now-deceased millionaire philanthropist who gave regularly to far-right causes and was a close Tanton friend. “I’m sure [MacDonald’s article] will give you a new understanding of the Jewish outlook on life, which explains a large part of the Jewish opposition to immigration reform,” he wrote. The press release went on to accuse the SPLC of unfairly linking FAIR to “a long discredited pseudo-science of eugenics” by noting the group had accepted $1.2 million from the eugenicist Pioneer Fund, ending in 1994. The release also claimed that the idea that FAIR had an interest in eugenics had been disproven. 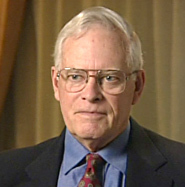 On May 21, 1997, Tanton wrote to Richard Lynn — a race “scientist” who claims that black people “are more psychopathic than whites” and suffer from a “personality disorder” characterized by a poverty of feeling and lack of shame — to congratulate Lynn on his book, Dysgenics, on how less intelligent individuals are outbreeding the intelligent. The next year, on Feb. 9, 1998, he wrote to Pioneer Fund President Harry Weyher to propose that Weyher hire Lynn to write “a study of Barry Mehler.” Mehler, the Ferris State University professor who founded the Institute for the Study of Academic Racism, is a harsh critic of race science and eugenics. FAIR officials may not have known of these contacts, but they certainly knew of others. On Oct. 29, 1998, for instance, Tanton wrote a memo for his file on Harry Weyher discussing the Pioneer Fund’s new website and a paper on “sub-replacement fertility” by Roger Pearson, a notorious race scientist who heads the Institute for the Study of Man. The memo was copied to FAIR’s Dan Stein and K.C. McAlpin, the executive director of ProEnglish, a group on whose board Tanton now sits. Most remarkable of all, however, was the Feb. 13, 1997, gathering organized by Tanton at the New York Racquet and Tennis Club. Three years after FAIR had stopped taking Pioneer Fund money, Tanton brought FAIR board members Henry Buhl, Sharon Barnes and Alan Weeden — along with Peter Brimelow, future founder of the VDARE.com hate site — to a meeting with Pioneer Fund President Harry Weyher. The meeting, held expressly to discuss fundraising efforts to benefit FAIR, was memorialized in a Feb. 17, 1997, memo that Tanton wrote for his “FAIR Fund-Raising File.” A year later, on Jan. 5, 1998, Tanton wrote to John Trevor, a Pioneer Fund board member and the son of the notorious pro-Nazi eugenicist John Trevor Sr., to thank him for his personal “handsome contribution” to FAIR. Throughout its history, the United States has been subjected to periodic outbreaks of xenophobic nativism, angry reactions to waves of immigrants who are seen as somehow different than “real” Americans. These movements, directed at different times at Germans, Catholics, Jews, Asians, southern Europeans, blacks and others, have typically been undergirded by racist stereotyping. Again and again, the new immigrants are described as stupid, ugly, disloyal, diseased and more. Today, no one disputes the vulgar racism of the 1920s Ku Klux Klan, which grew to nearly 4 million members on the strength of hating Catholics and Jews. And much the same can be said of nativist movements from the Know-Nothings of the 1840s, who saw German Catholics as dangerous subverters of American democracy, to the racist demonization of Mexican “wetbacks” during the 20th century.